What is your WPM? Didn’t get me, WPM means Words Per Minute, so I was asking how fast you can type, how many words you can type in one minute? Don’t know what your WPM, my average WPM is 36 (I need to work on my typing speed), do you want to know how much words you can type in one minute? 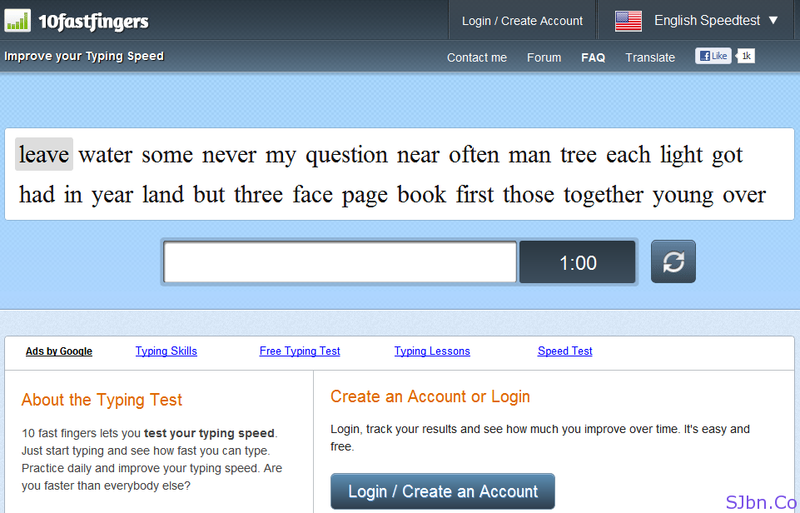 You can take your typing Speed Test at 10FastFingers, 10FastFingers is developed by Christian Strang from Germany. It is a website where they will give your some random words, which you need to type within one minute. All words will be case-sensitive. They measure five keystroke as one word, every key you hit is taken as one keystroke. After one minute complete it will show you, your WPM, number of Keystrokes, Correct words and Wrong words. It will also give you points and what is your prostitution on the ranking list of last 24 hours. In case if you don’t know English or you want to test speed in another language then you can also choose from more than 45 languages. This includes Hindī, Shqip, Dansk, Italiano, Español, Français and many more. If you can’t find your language and you want your language to be in that list then you can help him to add it. If you want to keep track of your typing speed then signup for an account and able to makeup to the list of top 50 then your name will appear on their list of top 50 but this is only for login user. Thanks Amal for the tip.